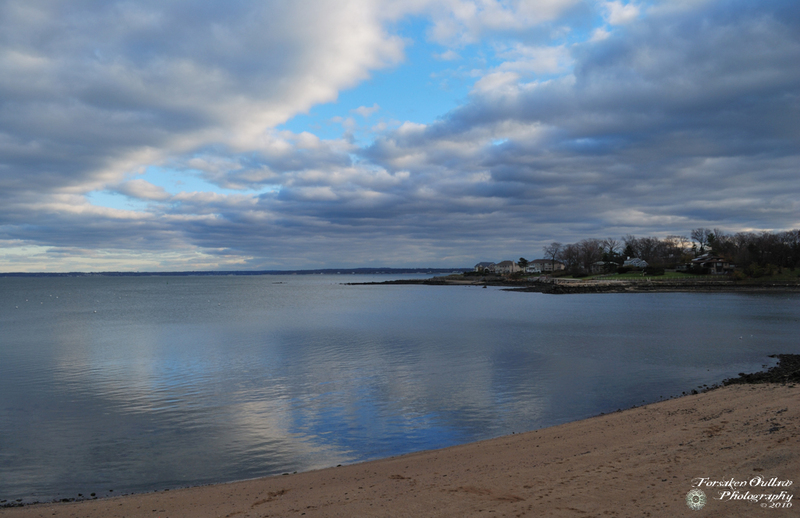 I took this photograph along the Long Island Sound in New Rochelle, New York. It was taken on a particularly chilly but bright day. The overcast of the clouds at this time made for a detailed and textured ceiling that reflected right off of the calm waters.